Betting information for The Grand National. The Grand National steeplechase is one of the most popular horse races anywhere in the world. As well as being watched by millions all over the world and it does provide a great betting opportunity for both seasoned punters and the occasional, and perhaps once a year punters to have a "just for fun" financial interest when watching the great event. While the more seasoned race-watchers will want to wait for the actual day of the race, and consider the going and jockey bookings before placing their wager, the more casual of the betting public are often not so interested in things like form, jockey bookings and going but are usually more interested in perhaps a relative’s name or a favourite colour in the horses name, for instance RED is a lucky colour in many countries and horses with red in the name usually see more bets than their bare form would suggest. For instance, this year there is a horse running called Definitely Red which I’m sure will be well supported just because of the name. The casual punter, therefore, is able often to take better odds in the week running up to the Grand National because their selection would not change if for instance on the day there was a jockey change or the going was considered to be unsuitable. So now is the time for the casual punter to look out for good offers. 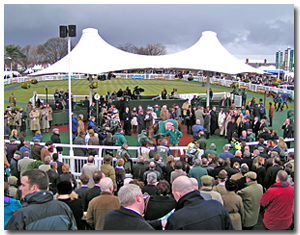 Often bookmakers will have incentives like, “bet early for the best price on the national” or perhaps Grand National Day Betting 2017 - Best offers for punters. These can be taken advantage of now as well as on the day because in the run up to the race prices will often fluctuate but you could now secure the returning odds at today’s level. Also of course betting is incredibly easy now with online accounts opened in minutes saving the trip to the betting shop on the day of the race. Another point to bear in mind is that if you do actually miss getting your bet on before the day, great offers on odds are often given on the morning of the big race. There are obviously some horses that will be bet on because of recognised names. 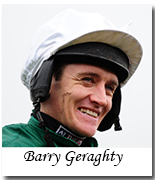 For instance, the return from injury of Barry Geraghty at the Aintree Festival will be noted by all punters alike. He will have the opportunity of picking what he considers the best of the J. P. McManus horses of which there are currently still five entered for the race. The horse that Barry is likely to ride could easily have its odds cut in the market simply because he is such a good jockey. The same would be true of trainers. Anybody watching the Cheltenham Festival a few weeks ago will realise that the Irish trainer Gordon Elliott is in fine form at the moment and his horses again will surely get with good support simply because he is training them. There have been some market movers within the race and since the one-time favourite Minella Rocco was ruled out of the race the favourite is now Vieux Lion Rouge, trained by David Pipe, who caught the eye on his last run when winning a 3 ½ mile handicap chase at Haydock Park back in February and the horse he beat that day Blaklion is also shortening in the market suggesting that he should come on for that race. Other horses of note would certainly be last year’s second The Last Samurai, who although was a few lengths behind the winner was eighth lengths in front of the third horse, although he has gone up considerably in the weights. One final note for those who intend to bet earlier than the day of the race. The number of horses that will start the Grand National will be no more than 40. In the lead up to the race, there will be more than 40 horses actually declared as runners. Should horses not drop out then all horses numbered 41 or above will be balloted out of the race and will not take part. Finally, good luck to all owners, trainers, jockeys and of course the betting public.